Hawaii Island’s tech community experienced a watershed moment over the weekend when the first-ever Demo Day and New Business Showcase was held on Saturday, May 10, at the ‘Imiloa Astronomy Center. 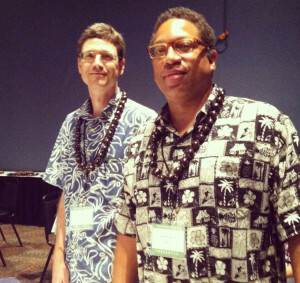 Organized by Hawaii Tech Exchange and Hawaii Tech Works, the event showcased seven island-based startup companies that gave presentations, known as pitches, to a panel of judges. The winning startup received the opportunity to pitch at the upcoming Maui Tech Night and the chance to win $500,000 in funding. Other Demo Day activities included a presentation by David Bruce of Global Virtual Studio about the newly launched Transmedia Accelerator program based in Kona and a networking session. In addition to the two event organizers, major sponsors included High Technology Development Corporation (HTDC), the HI Growth Initiative, and Nalukai Foundation. 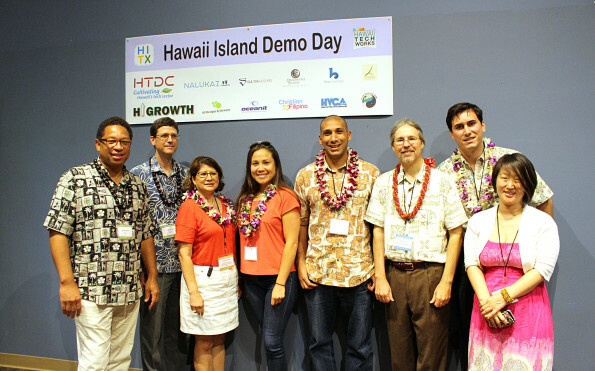 The fact that a Demo Day was held at all speaks volumes as to the growth of Hawaii Island’s tech community. Both organizing entities behind Demo Day are relatively new: Hawaii Tech Works was founded in 2012 and Hawaii Tech Exchange launched late last year. Both organizations are based in Hilo and work to promote economic development and foster entrepreneurship. And while the ground-breaking event received scant attention from local media, it did receive a lot of attention in the tech industry. The room was filled with a mix of industry leaders, state officials, venture capitalists, investors, and other movers and shakers in Hawaii’s growing tech and startup community. Several of those movers and shakers flew in from Oahu to attend this special event, with some travelling from as far away as Washington D.C. to partake in the festivities. A panel of three judges from venture capital and tech organizations judged each of the presentations. 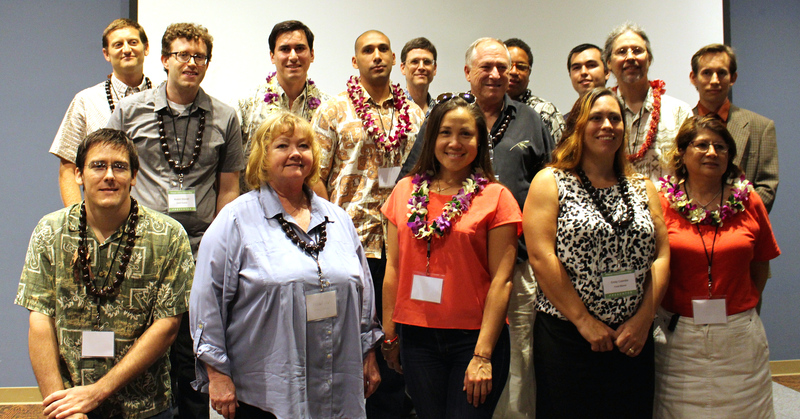 Judges included Meli James, president of Hawaii Venture Capital Association, Tarik Sultan, partner, Sultan Ventures, and Robbie Melton, executive director and CEO, HTDC. The seven companies pitching during Demo Day represented a diverse range of companies, including Droneflow, which provides aerial inspections of infrastructure, like bridges and elevated highways, in hard-to-access places. Some of the companies making pitches are still in their infancy, like Food Biome, which makes food and body products made with live ingredients. Others, like Easybotics, have managed to sell 30,000 units of product even though the company is still in its development stage. Others still, like Workers On Call, are more well known. A website matching companies with freelance workers, Workers On Call has already helped 4,000 people across the U.S. and overseas find employment in a variety of fields. Other companies pitching at Demo Day included Christian Filipina, which has 110,000 members in 30 countries ,and QuickEventz, a community-based calendar app that lets you list and search for events in your area. The day’s winning pitch, was presented by Ikehu, whose Drive™ System provides incentives to residential customers of utilities to reduce power consumption during peak and critical times. Last year the Kona-based startup won a $150,000 grant from the National Science Foundation to conduct a six-month trial of their system. In 2012 they were featured on CNBC as “one of the world’s most promising new companies” and were selected as a Top 50 Startup in the 2012 Startup Open, a global competition. Given the caliber of talent on display at Hawaii Island’s very first Demo Day, it’s evident that our island tech scene will only continue to grow and blossom.